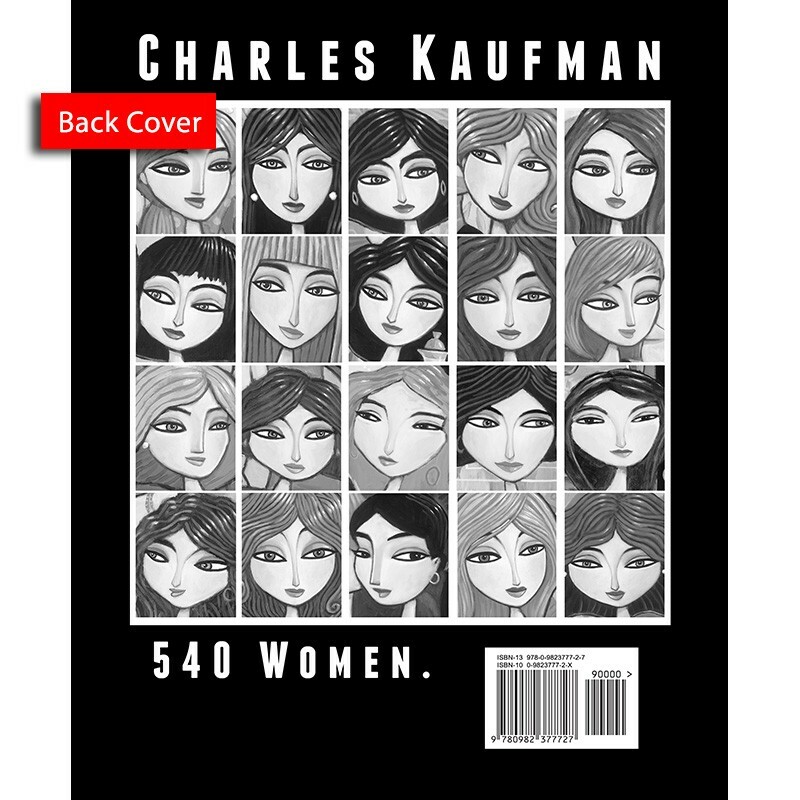 > Book: "Five Hundred and Forty Women". 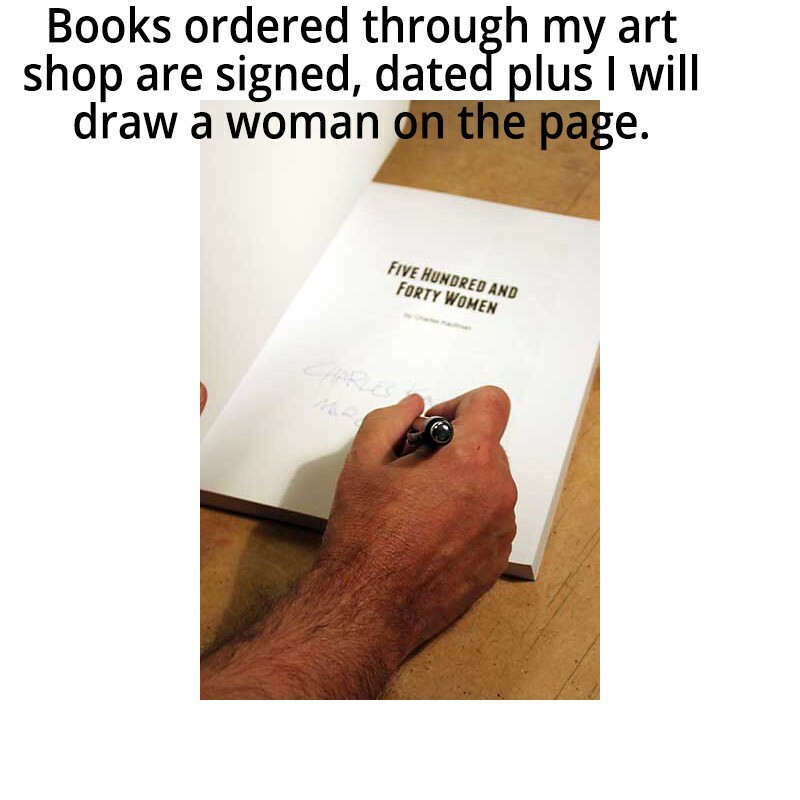 PLUS - A hand drawn, one-of-a-kind sketch in the book. Five Hundred and Forty Women" is a collection of over 540 women from over 190 paintings by artist Charles Kaufman. 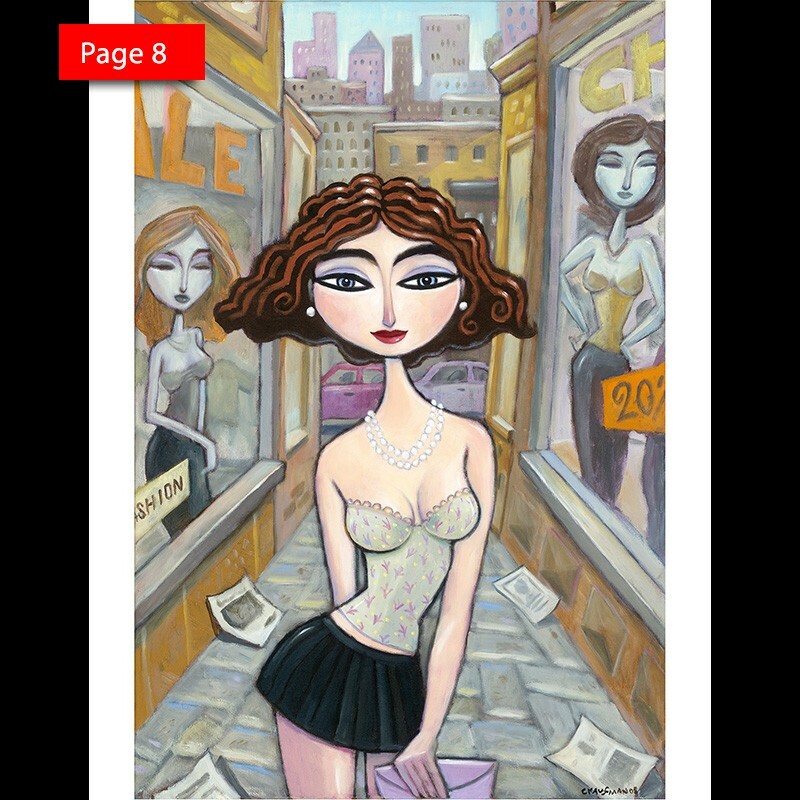 Kaufman has created colorful figurative art that has a unique style and look of its own. The paintings of women in this book were created from from 1991 to 2012. 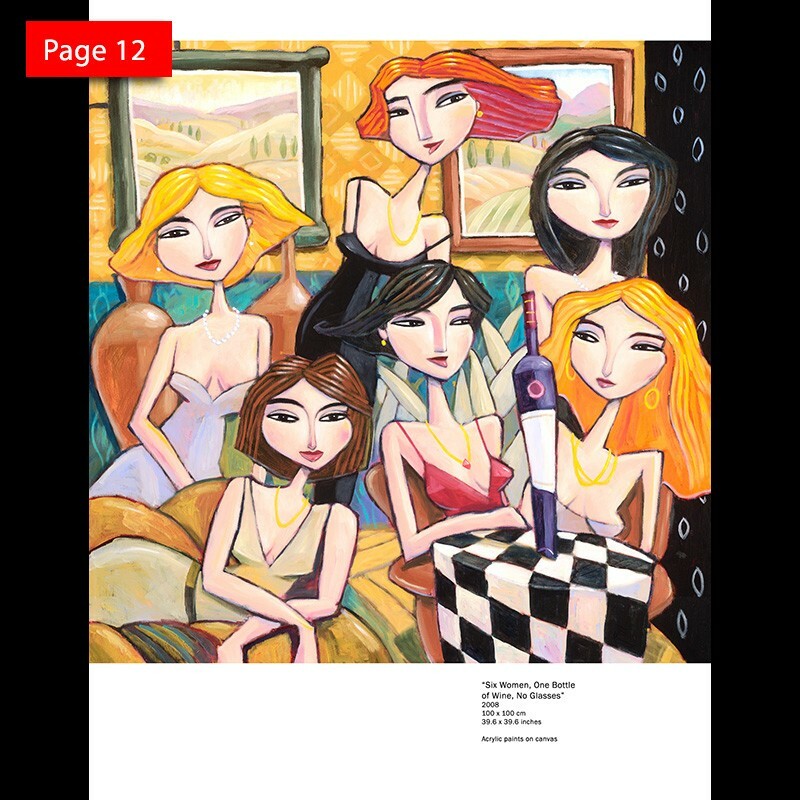 Also included in the book is a fascinating section titled "Sketch Idea vs. 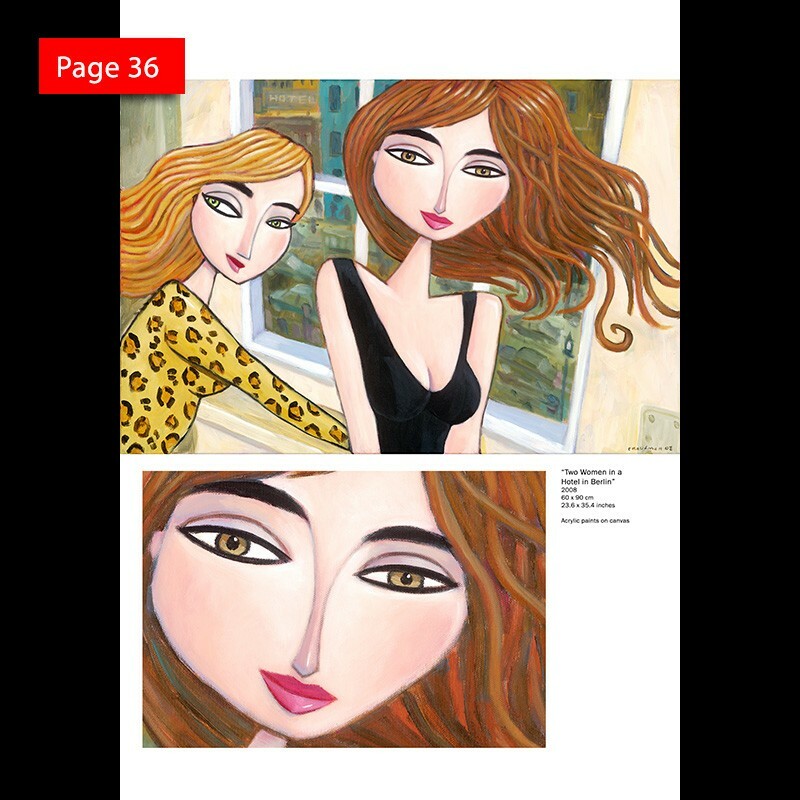 Finished Painting", where the original sketch idea for the art work is compared to the finished painting. 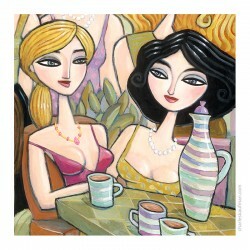 See for yourself how the small pen or pencil sketch of an idea for a painting was completed in full color on canvas. 246 pages with an easy-to-reference painting index in the back. 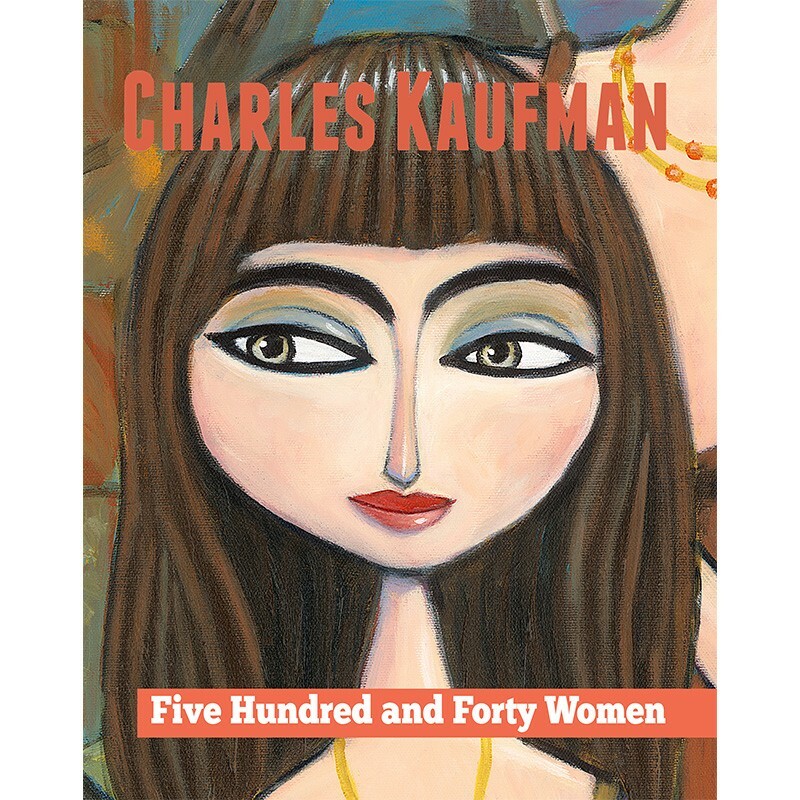 Charles Kaufman's paintings and other works of art are exhibited in galleries in Europe and the United States and in collections worldwide.